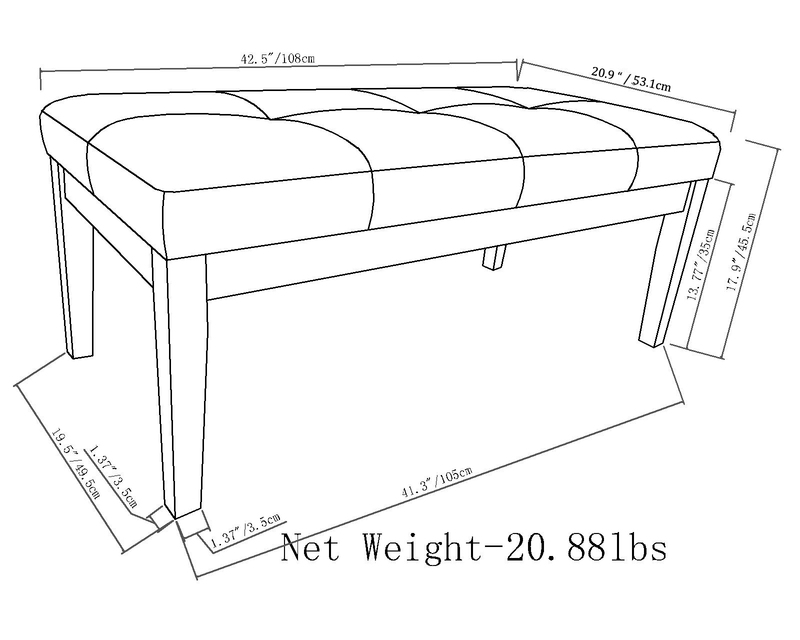 Update your living space with the Lacey Ottoman Bench. Its clean contemporary style will add a fresh look to your space. Made with durable, high quality Faux Air Leather for a luxurious, comfortable feel. This sleek tufted ottoman with stitching detail features a narrow profile which is ideal for an entryway, at the end of a bed or add a tray on top making it perfect for a living room, family room or den. Available in Distressed Saddle Brown or Distressed Black.